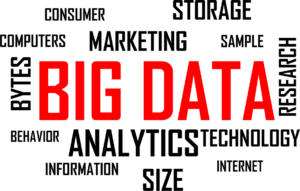 If you’re someone who likes keeping up to date on the latest trends in tech, then big data needs to be on your radar. Big data is fundamentally changing the way businesses in many industries operate. Keep reading to learn about six big data transformations taking place in the business world. The world of marketing has been evolving over the past few years. Thanks to big data, marketers have the ability to compile large amounts of information about prospects and gain better insights as to who their customers are. Big data and analytics can help marketers improve their search engine optimization and create more impactful content by providing detailed insights into performance. With this vast repository of information at their disposal, marketers are able to develop more targeted campaigns and initiatives and get the most out of their budget. If you’re not familiar with the AI world, then the term dark data might be new to you. Dark data refers to data stored in repositories that have not been analyzed or processed. The way dark data is stored makes it difficult for analysis to be performed on it. However, big data is making it increasingly possible for complex data management systems such as those storing dark data to become more accessible to everyone. The sports world can also benefit from the revolutionary use of big data. With the help of connected devices and data analytics, coaches are able to assess athletes’ performance in revolutionary ways and make decisions based on the accessible information. This is especially true in sports such as Formula 1 where pit crews use big data in vast quantities to analyze every aspect of the race. You’ve probably already encountered chatbots or digital assistants at some time or another. Beyond being a great customer service tool, the applications for chatbots at the enterprise level are equally promising. Big data is facilitating the implementation of more advanced Chatbots. Big data can save lives when it comes to disaster response and recovery planning. Emergency response teams can access and analyze real-time traffic systems, sensors, cameras, water quality, urban planning documentation and much more. This would also give them better tools to plan and predict what can be done in case of a disaster. Imagine if potentially illuminating patient information was available to doctors everywhere. With big data, this can be possible. Shared data (i.e. medical histories, DNA profiles) between healthcare professionals could be used to further life-saving research efforts. Data acquired from wearable devices could even be used to help make predictive diagnoses. The transformations within these six sectors are a testament to how business is changing in light of new disruptive technologies. Within this innovative technology lies the basis of a strong investment thesis. Diversified investment products such as the Evolve Innovation Index ETF (TSX: EDGE) provide investors with access to companies involved in big data and cloud computing. Did you enjoy this article? If you did, we have more where that came from. Visit our blog for the latest on disruptive technologies and the investment world. We may store your personal information (in encrypted form where we believe it to be highly sensitive) in electronic databases or e-mail boxes hosted by us or our Service Providers, for periods of time and with safeguards that we believe are reasonable depending on the nature and sensitivity of the information. Access to the information is restricted in accordance with our security protocols. Due to the nature of Internet communications and evolving technologies, Evolve Funds cannot provide assurance that the personal information we collect will remain free from loss, interception, misuse or alteration by third parties and Evolve Funds shall have no liability for any loss, interception, misuse or alteration. In some cases, we may collect information about you that is not personally-identifiable. Examples of this type of information include your Internet protocol (IP) address, the type of Internet browser you are using, the type of computer operating system you are using, and the advertisement or domain name of the website from which you linked to the Website. Some pages on the Website use a technology called “cookies”. A cookie is a token that a server gives to your browser when you access a website. Cookies are capable of storing many types of data. Cookies may be placed by Purpose Investments or a third party. Cookies help provide additional functionality to the Website or help provide and analyze Website traffic and usage information. For instance, our server may set a cookie that keeps you from having to enter a password more than once during a visit to one of the Website. In all cases in which cookies are used, we will not collect personally-identifiable information except with your permission. With most Internet browsers, you can erase cookies from your computer hard drive, block all cookies, or receive a warning before a cookie is stored. Please refer to your browser instructions or help screen to learn more about these functions. We may provide your personal information to other persons but only if: we have your consent; we provide the information to Service Providers who assist us in serving you and who have agreed to appropriate contractual provisions regarding the protection of personal information in accordance with applicable law; or we are required to do so by law, regulation or court order. We may send your personal information outside of the country for the purposes set out herein, including for process and storage by Service Providers in connection with such purposes, and you should note that while such information is out of the country, it is subject to the laws of the country in which it is held, and may be subject to disclosure to the governments, courts or law enforcement or regulatory agencies of such other country, pursuant to the laws of such country. The content on this Website is provided for informational purposes only and is not intended to provide financial, legal, accounting or tax advice and should not be relied upon in that regard. You should not act or rely on the content on this Website without first seeking the advice of appropriate professional advisors. Commissions, management fees and expenses all may be associated with exchange traded mutual funds (ETFs). Please read the prospectus before investing. ETFs are not guaranteed, their values change frequently and past performance may not be repeated. There are risks involved with investing in ETFs. Please read the prospectus for a complete description of risks relevant to the ETF. Investors may incur customary brokerage commissions in buying or selling ETF units.